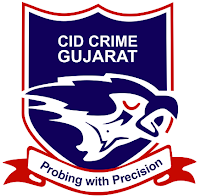 CID Crime & Railways, Gujarat has published Advertisement for below mentioned Posts 2018. Other details like age limit, educational qualification, selection process, application fee and how to apply are given below. Educational Qualification: Msc-IT Security / Msc - Digital Forensic Science/ Msc - Cyber Security, B.E. or B.Tech in E&amp;C, B.E. 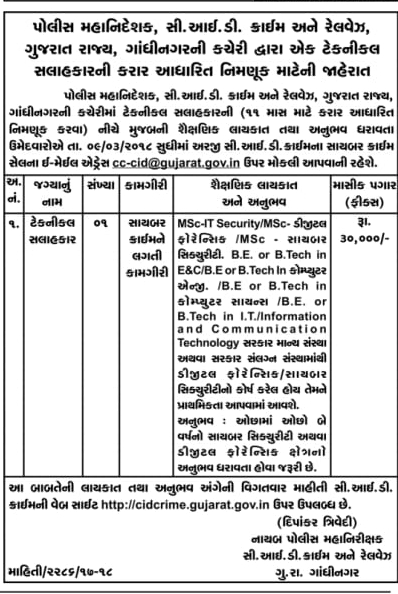 or B.Tech in Computer Engineering / B.E. or B.Tech in Computer Science / B.E. or B.Tech in IT / Information &amp; communication Technology / Digital Forensic/ Cyber Security Course form recognize Institute.